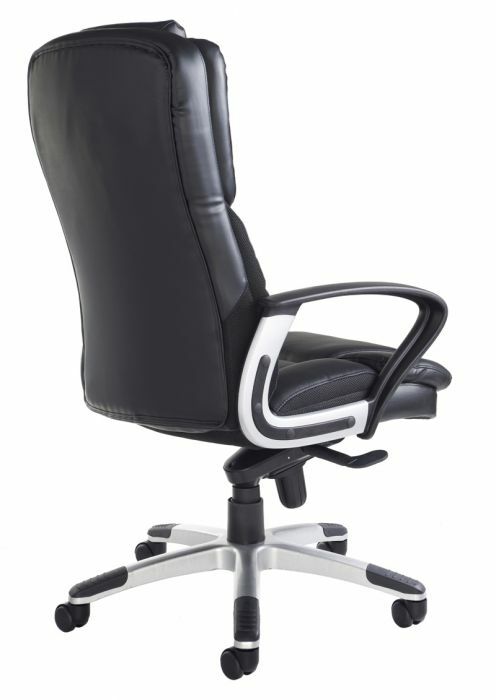 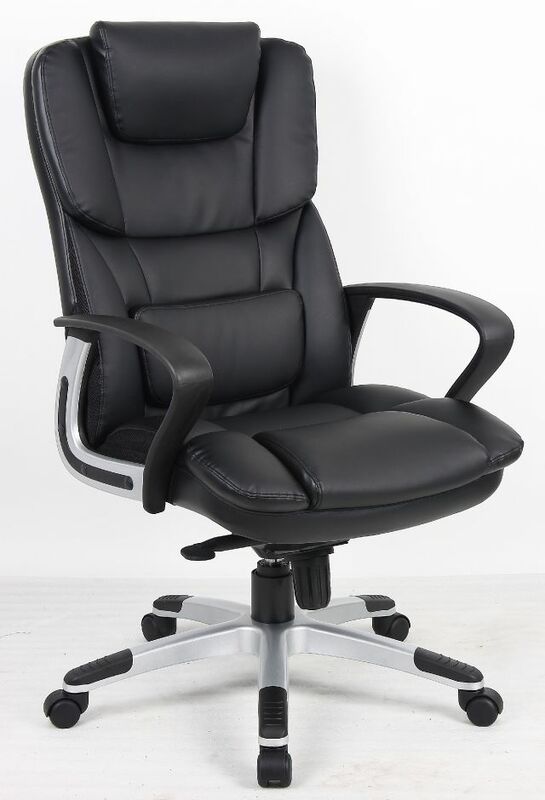 Large black leather executive chair with inbuilt head rest and lumbar support. Available from stock for a free next day delivery. 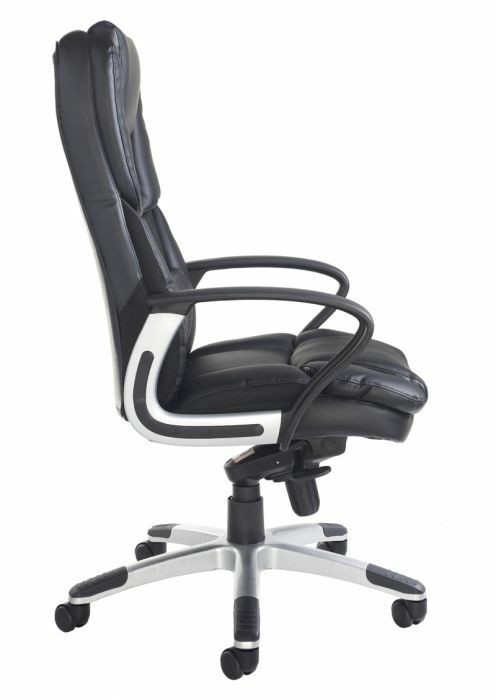 This chair also has extra padding for comfort. 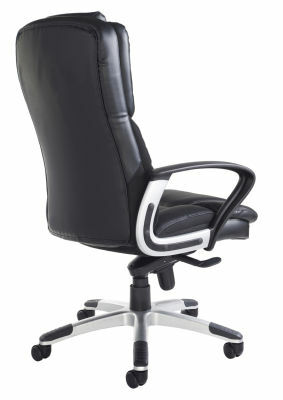 Stylish Black leather execvutive chair available from stock for a free next day delivery.